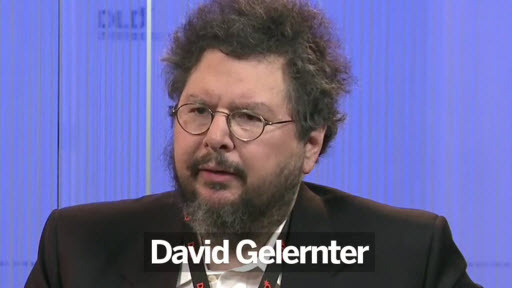 If you frequent this blog then you probably know that David Gelernter originated the Lifestreaming concept and dubbed its name. His original concept has come a long way from its inception in 1996 and a culmination is coming soon when Facebook will bring this concept to 800 Million+ users ushering it into the mainstream. His answer covered several areas. He begins by discussing the origins of Lifestreaming and then covers how he can no longer talk about its commercialization. He abruptly states how he can’t discuss some aspects due to patents. Apparently there are patents that David doesn’t own surrounding the concept that have resulted in a lawsuit against Apple. He’s heard that this patent dispute is the largest lawsuit in patent history. He describes how these patents revolve around the implementation and user interface design of Cover Flow, Spotlight, and Time Machine. I don’t know anything about these patent issues but it will be interesting to see if Facebook will soon become a target of them as well. This really is a shame. David goes on to talk about how he’s excited about how the Lifestreaming concept has proliferated across personal sites and commercial services and specifically mentions FriendFeed, AOL, and Bebo. I was also humbled by the fact that I think this blog got a shout out in the interview which is great. It’s not as if we want to stop that activity – shut it down, but we’d like to see credit where credit is due. Not just to me, or mainly to me, but to graduates who’ve actually built the software, worked tremendously hard, published the papers, put them in – you know, made them available, and we’d like to see credit awarded. You can view a video of the interview on the Big Think site. Note: the Lifestreaming question comes in at 3:45 of the video. There’s also a full transcript of the interview available as well. So in your opinion, sending a child to a public school is “handing them over to the government”? Hardly.